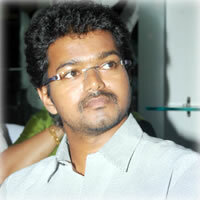 It’s Vijay’s turn after Dhanush and Nayanthara! Social networking sites have always been giving fans an opportunity to interact with their screen idols. Not only young actors, even veteran actors are fascinated by this technological marvel that most of them have open accounts on Facebook or Twitter and are keeping their fans updated. Now the latest allegations put up by few popular actors is that impersonators have opened accounts in their names and are misusing their fame for personal gains. Recently Dhanush made it public that he will lodge a complaint with the cyber crime authorities as his account has been tampered with. Nayanthara also was a victim as her account also was stolen. To join the list is Vijay whose Facebook account has been meddled with. The actor has given an announcement that he will take action against those responsible for this. Has Bala dumped Jiiva for Suriya? Sushmita Sen asking for money online? Rakhi Sawant jilts her suitor? Aamir allows Kareena to celebrate her birthday! Unnaipol Oruvan to release today!